A pair of researchers have uncovered a potential bridge between general relativity and quantum mechanics — the two preeminent physics theories — and it could force physicists to rethink the very nature of space and time. Albert Einstein’s theory of general relativity describes gravity as a geometric property of space and time. The more massive an object, the greater its distortion of spacetime, and that distortion is felt as gravity. In the 1970s, physicists Stephen Hawking and Jacob Bekenstein noted a link between the surface area of black holes and their microscopic quantum structure, which determines their entropy. This marked the first realization that a connection existed between Einstein’s theory of general relativity and quantum mechanics. To further explore this line of thinking, ChunJun Cao and Sean Carroll of the California Institute of Technology (CalTech) set out to see if they could actually derive the dynamical properties of gravity (as familiar from general relativity) using the framework in which spacetime arises out of quantum entanglement. Their research was recently published in arXiv. Using an abstract mathematical concept called Hilbert space, Cao and Carroll were able to find similarities between the equations that govern quantum entanglement and Einstein’s equations of general relativity. This supports the idea that spacetime and gravity do emerge from entanglement. Carroll told Futurism the next step in the research is to determine the accuracy of the assumptions they made for this study. “One of the most obvious ones is to check whether the symmetries of relativity are recovered in this framework, in particular, the idea that the laws of physics don’t depend on how fast you are moving through space,” he said. Today, almost everything we know about the physical aspects of our universe can be explained by either general relativity or quantum mechanics. The former does a great job of explaining activity on very large scales, such as planets or galaxies, while the latter helps us understand the very small, such as atoms and sub-atomic particles. However, the two theories are seemingly not compatible with one another. This has led physicists in pursuit of the elusive “theory of everything” — a single framework that would explain it all, including the nature of space and time. Because gravity and spacetime are an important part of “everything,” Carroll said he believes the research he and Cao performed could advance the pursuit of a theory that reconciles general relativity and quantum mechanics. Still, he noted that the duo’s paper is speculative and limited in scope. 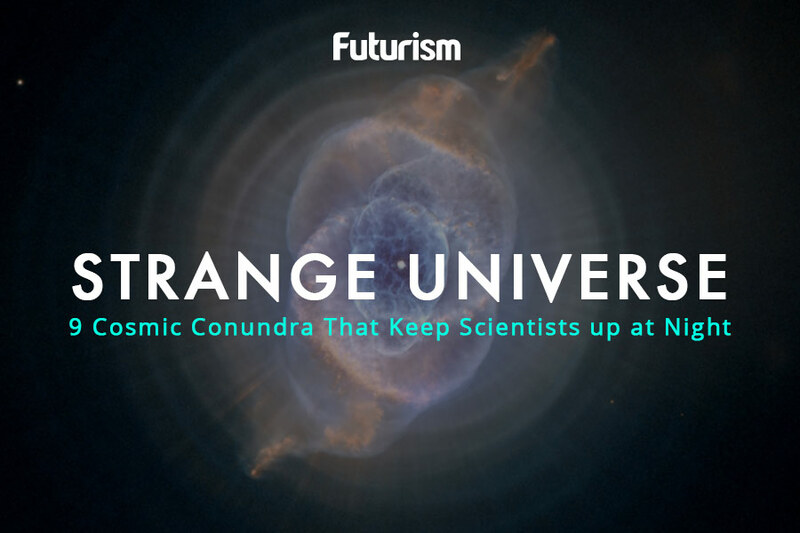 “Our research doesn’t say much, as yet, about the other forces of nature, so we’re still quite far from fitting ‘everything’ together,” he told Futurism. Still, if we could find such a theory, it could help us answer some of the biggest questions facing scientists today. We may be able to finally understand the true nature of dark matter, dark energy, black holes, and other mysterious cosmic objects. Already, researchers are tapping into the ability of the quantum world to radically improve our computing systems, and a theory of everything could potentially speed up the process by revealing new insights into the still largely confusing realm. While theoretical physicists’ progress in pursuit of a theory of everything has been “spotty,” according to Carroll, each new bit of research — speculative or not — leads us one step closer to uncovering it and ushering in a whole new era in humanity’s understanding of the universe.